Zero Dark Thirty (2012): Dir. Kathryn Bigelow. Written by: Mark Boal. Starring: Jessica Chastain, Jason Clarke, Kyle Chandler, Jennifer Ehle, and Mark Strong. Rated R for strong violence including brutal disturbing images, and for language. Running time: 157 minutes. 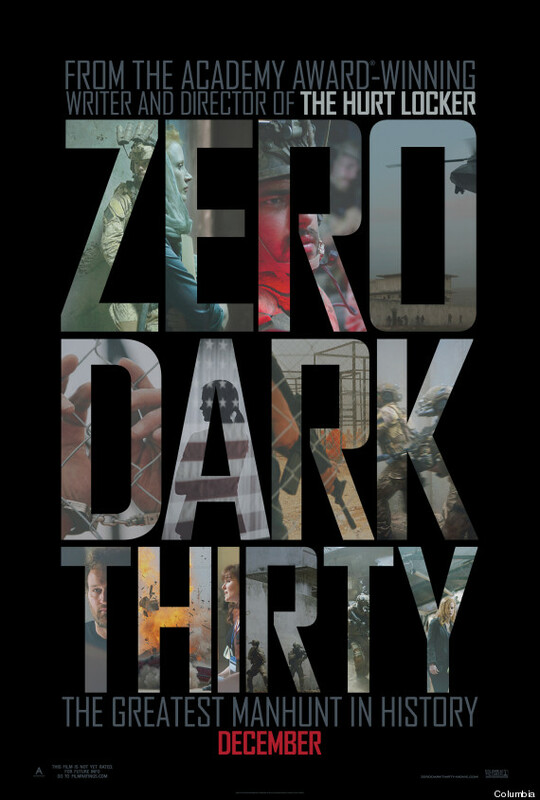 Zero Dark Thirty represents responsible military filmmaking, an answer to the early 2012 release Act of Valor. Tasked with chronicling the long, arduous manhunt for Osama bin Laden, the film declines easy answers and gives little sense of catharsis—a trait that also applied to Kathryn Bigelow’s 2009 Best Picture-winning The Hurt Locker. I must say, I expected gritty realism and intense procedural. But I didn’t expect to see the toll the “war on terror” would take on all parties—soldiers, intelligence operatives, civilians, terrorists, men, women, children. With their second collaboration, director Bigelow and screenwriter Mark Boal focus again on the individuals enmenshed in international conflicts. Their stories, in turn, become allegories for larger events. Be warned—this film does not compromise. It begins with a black screen and the sounds of 9/11 phone calls. Cut then to a vicious scene of torture. A man is water-boarded, imprisoned in a tiny cabinet, and walked on a leash—not only tortured, but humiliated. And yet, he does not spit at his captors, or shout “Death to America!” in broken English. He is a person, being made to suffer. At one point he is so weak, he can’t even manage to willingly give the information sought after. The man who tortures him seems calm and in control. He approaches his task wearily, but believes what he does is necessary. Meanwhile, Bigelow sits back and does not judge. If that opening (and the film itself) are anything to go on, the hunt for bin Laden was messy, dispiriting, and perhaps ill-defined. Hunches and circumstantial evidence abound, with substantial risks taken, and tragic consequences as a result. Bigelow and her cinematographer Greig Fraser reflect that mood in the film’s look. It maintains documentary-style realism, tinged by shadowy noir. There’s a loneliness that infests the lives of people who sit in the dark and stare at monitors, waiting for answers. At the center of it all is CIA agent Maya, a composite of many CIA women (and men). Jessica Chastain plays Maya with a soft voice and quiet demeanor, disarming only because it belies the fire and obsession of her inner motives. “Help me,” a torture victim begs of her. A beat, then she steps forward. “You can help yourself by being truthful,” she says, and steps back into the shadow. But as the years go by, and Maya sees her cohorts lose interest in bin Laden, the war on terror takes a distinctly personal turn—she becomes her mission. Boal’s script finds the pitch-black humor, the colloquialisms, and awkward moments in the war on terror. It doesn’t shy away from red herrings, because they define this kind of work. When Maya sends agents out to tail a suspect, we’re are not sure if it’s all just a wild goose chase, and neither is her team. And no moment of clear revelation satisfies us, or them. When we inevitably confront the raid on bin Laden’s compound, we seem to enter an alien world—shot mostly through night-vision goggles. Bigelow maintains suspense visually and aurally, with extended silences punctuated by shocks of sudden violence. The SEALs move as if by rote. When they shoot people, they shoot them again, to be sure. As if to remind us that, no, we’re not watching the latest Expendables movie. Far from an easy film to watch, Zero Dark Thirty nonetheless stands as an important film, and not just because it’s about the hunt for bin Laden. It’s important because it does not lionize or condemn its subjects. Instead, it leaves us with questions.